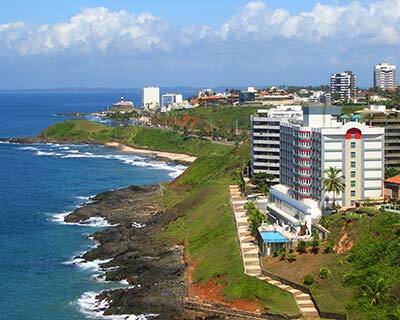 Salvador is a coastal city with many historical reminders of the past. 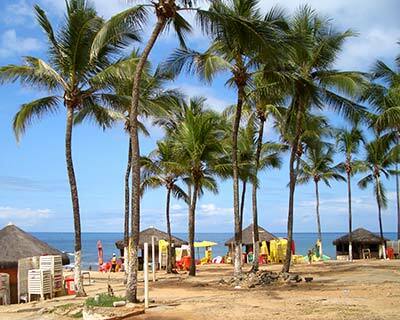 Here we look from the Othon Convention Centre towards the Farol da Barra lighthouse. 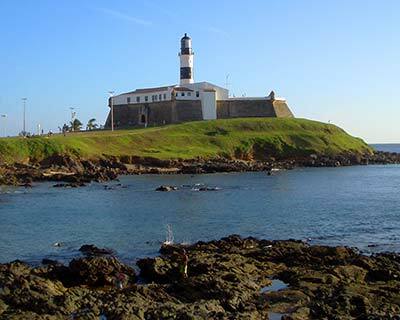 The Farol da Barra lighthouse at the Fort of Santo Antônio. The tower was built in 1796 and upgraded to its present form in 1899. 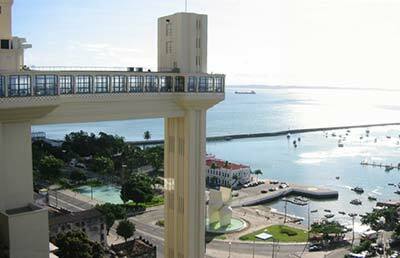 The Elevator Lacerda connects the old and new parts of the city. The original 236-foot-tall elevator was built in 1872 and was given its present distinctive Art Deco look 1930, when the old mechanism was replaced with hydraulics. A narrow lane in the Pelourinho district. 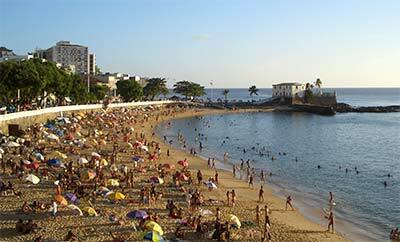 Salvador is the centre of the largest street carnival in Brazil. 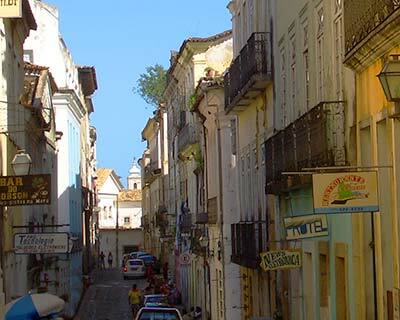 The Pelourinho district has many well-preserved colonial buildings. 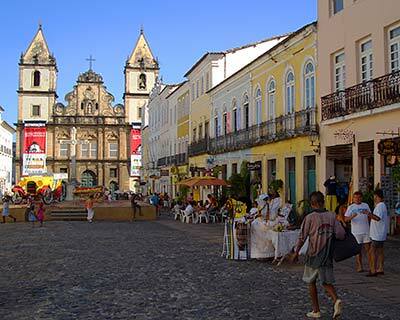 Sometimes referred to as Centro Historico or Cidade Alta, Pelourinho is the historic and cultural centre of Salvador. 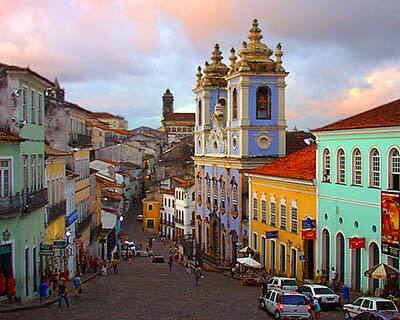 It sits high above the city’s commercial district (Cidade Baixa or lower town) and is made up of a jumble of cobblestone streets and colorful buildings from the 16th and 17th century colonial periods when Salvador was one of the richest places in all of the Americas. Churches and museums abound. Right is the Igreja de São Francisco. Although not as large as the Catedral Basílica, this church is even more impressive. It was built in the early 18th century by wealthy Salvadoran colonists (made rich by the sugar trade) who were lavish in their use of gold decoration. The ornate decoration in part of Catedral Basílica. 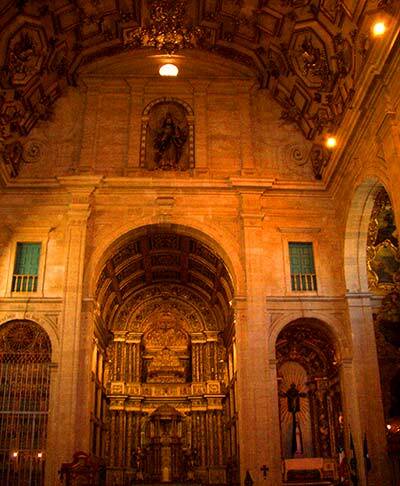 This church was constructed in the 17th century, with gold, marble, wood and ivory, mixing baroque and rococo styles. 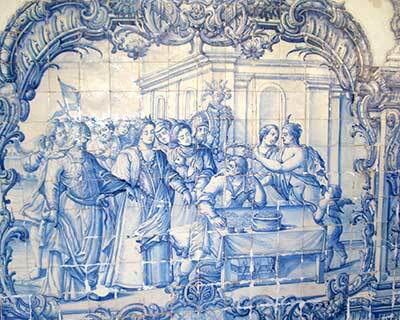 Beautiful tile-work in the cloisters of the Igreja São Francisco are in typical Portuguese-Azulejos style. 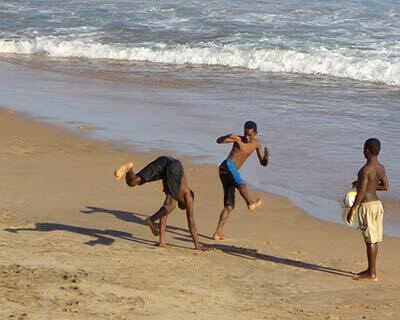 Beaches galore . 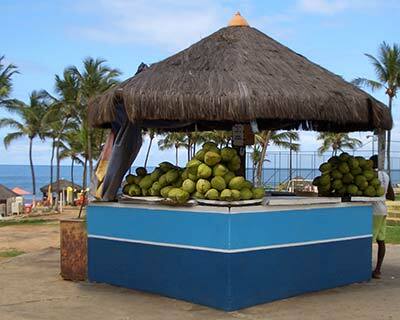 . .
Fresh delicious coconuts for sale. 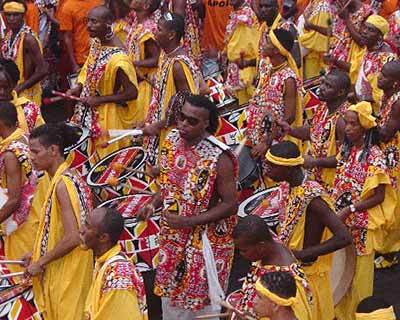 The Capoeira, a war-like dance of Afro-Brazilian origin, is practised everywhere.